NEW YORK (Reuters) - Oil prices turned positive on Wednesday after a bigger-than-expected decline in U.S. crude inventories along with surprise drawdowns in gasoline and distillates indicated strong demand in the world's top oil consumer. Brent crude was up 87 cents, or over 1 percent, at $76.75 a barrel by 1:38 p.m. EDT (1938 GMT). U.S. light crude was up 40 cents, or 0.6 percent, at $66.76 a barrel. 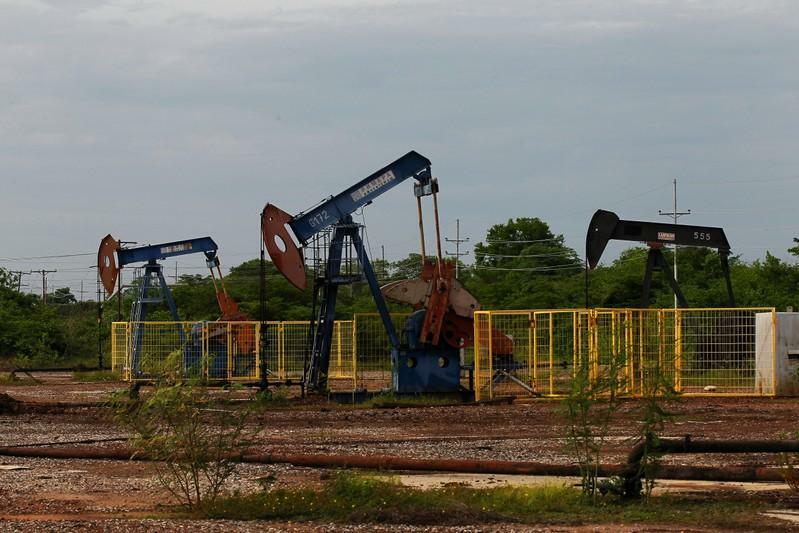 U.S. crude inventories fell 4.1 million barrels last week, the Energy Information Administration said, exceeding analysts' expectations for a decrease of 2.7 million barrels. [EIA/S] Estimated U.S. gasoline demand hit a record high of 9.9 million barrels per day (bpd) in the week, the data showed. U.S. crude production rose to 10.9 million bpd last week, according to the EIA, but Kilduff said the market appeared able to absorb the increase. "It seems like we need almost every barrel of that to keep up with this refining demand." "More oil from OPEC plus is the base case," said Bjarne Schieldrop, analyst at Swedish bank SEB. "Saudi Arabia and Russia have already started to lift production," he said. "Unofficial sources have said Russia will propose to return production back to the October 2016 (level), i.e. removing the cap altogether over a period of three months." "The market will be finely balanced next year, and vulnerable to prices rising higher in the event of further disruption," the IEA said in its monthly report. "Prices will be above $150 in less than two years," he tweeted on Wednesday.